This dive site is named after the ornate arrangement of coral boulders here. Situated on the east side of Koh Nang Yuan and with depths ranging from 2 to 12 meters it is suitable for snorkelers & beginners. 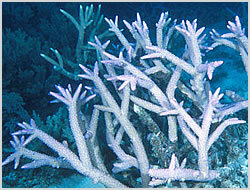 Plenty of staghorn and plate coral can be observed in the shallows. A popular drift dive can be done from Red Rock through a series of swimthroughs and emerging into Japanese Gardens for a relaxing safety stop amongst the myriad coral formations.